It is often said that we ought not to worry. In fact, this is far from the case, provided we ‘worry well.’ Our brains thrive on being stretched and on finding solutions to difficulties. When we worry well, we engage both our higher intelligence and our innate creativity, which not only reduces stress but also gives us a sense of competence and achievement. 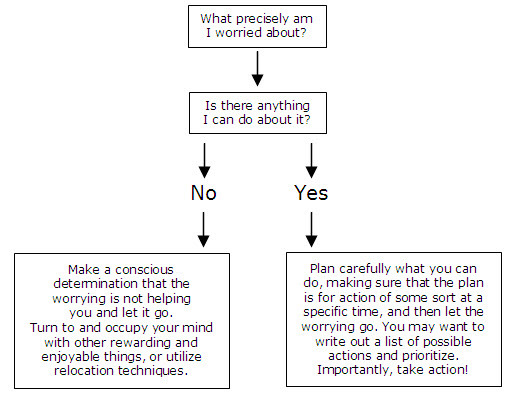 So worrying well is good for you and is a skill we can all usefully cultivate. What is the worst that could happen, realistically? What it the evidence for and against that happening? What would you tell a friend in your situation? Will this matter in a week’s/ a month’s/six months’/a year’s time? Is it actually worth spending my energy on worrying about this? We can filter out a large number of things which are simply not worth investing our energy in worrying about, such as the unimportant or unlikely. This allows us to invest that energy in more helpful thoughts or activities. The Institute of Legal Secretaries and PAs is a professional organization dedicated to helping people with their Legal Secretary careers every step of the way.